Spacious apartments in the middle of nature and in a central position in St. Vigil, with comfortable and complete furnishings. Directly at Mt. Kronplatz! 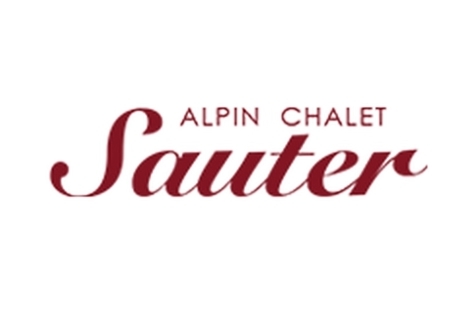 Welcome to Alpine Chalet Sauter*** in St. Vigil! Waking up early in the morning and hiking to alpine pastures and mountain tops in Gadertal or have a good night’s rest, cook at home or taste the local delicacies in a restaurant, organise the whole holiday according to your wishes and spontaneous ideas – if you decide spending your holidays at Alpine Chalet Sauter in St. Vigil, you will enjoy boundless holiday pleasures. At your disposal are three holiday flats for two to four people: Gana (50 sq m.), Gran Bracun (85 sq m.) und Salvan (75 sq m.). All apartments are furnished with kitchen and dishwasher, bedroom and living room, bathroom and balcony with a splendid view. A garage, WLAN, satellite TV, bed linen, towels, an iron and a hairdryer are available as well. Alpine Chalet Sauter also offers a dryer for ski and trekking shoes. 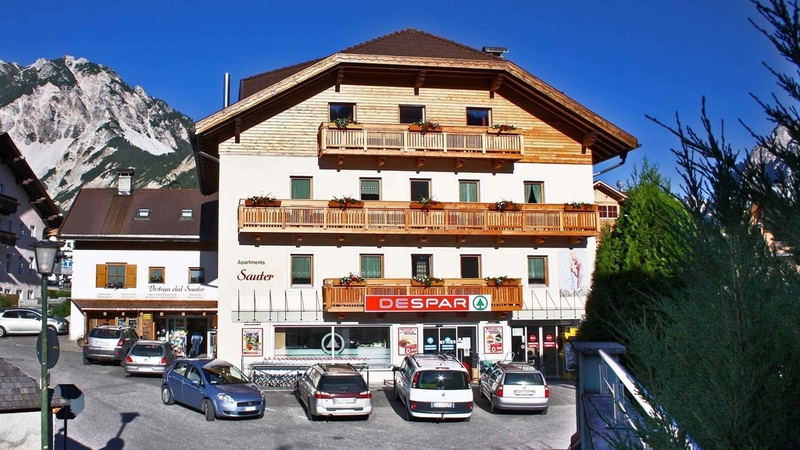 Directly beneath our apartments, you can find our in-house supermarket with a wide range of South Tyrolean products, Italian specialities and all necessary things for your holidays in the mountains. St. Vigil is an enchanting mountain village in the South Tyrolean Dolomites, which attracts numerous vacationers at any season. Magnificent hikes, fixed mountain routes and bike tours await you in summer. In winter, you will look forward to the perfectly prepared slopes of Mt. Kronplatz skiing area. The snowy landscape of the South Tyrolean Dolomites offer wonderful winter hikes, sledge runs and cross-country ski runs too. We are looking forward to your visit in St. Vigil! With 50 square metres, the "Gana" vacation apartment is ideal for two to four persons. Layout: Eat-in kitchen, double room and separate bathroom. Balcony with a view of the town centre St. Vigil. If necessary, we can provide a portable bed. Four persons will have enough room to live together in a relaxed setting in the 85 square metres vacation apartment "Gran Bracun". If necessary, two additional persons can sleep on a roll-away bed or the couch in the living room. Access to the extensive main balcony via the living room, another balcony can be reached via the double room. Layout: Double room and a room with two single beds, living room, kitchen, bathroom and separate day-time WC and two balconies. In the 75 square metre vacation apartment "Salvan" four people can enjoy their vacation. If necessary, two additional persons can sleep on a roll-away bed or the couch in the living room. Access to the balcony via the living room and the double room. Layout: Double room and a room with two single beds, living room, kitchen, bathroom. Gratis Skibus, Deckchair, Ski depot outside the house, Pets allowed, Snow boot dryer, On the slopes, Int he village centre, Shops in the environs, above 1000 m a.s.l.